Recommended for parking garages and warehouses. Heavy-duty, high-impact thick molded rubber. Yellow reflective stripes increase visibility. Securely installs with 6 lag bolts. Whenever a car or van hits or rubs against the corner of a pillar in a parking lot, a rupture is caused that can go from a minor cracking to a piece of the column that translates into construction and maintenance costs. The number of cars and columns that a large parking lot can have can end up being an endless constant. 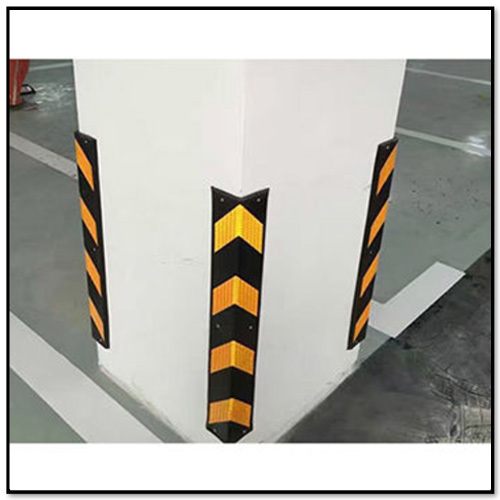 To avoid the previously mentioned problem is that we manufacture the rubber corners, which are installed in each corner of each column to the height range where a vehicle can be stuck, and these cushion the impacts of cars and other vehicles, thus preventing the pillars suffer damage. 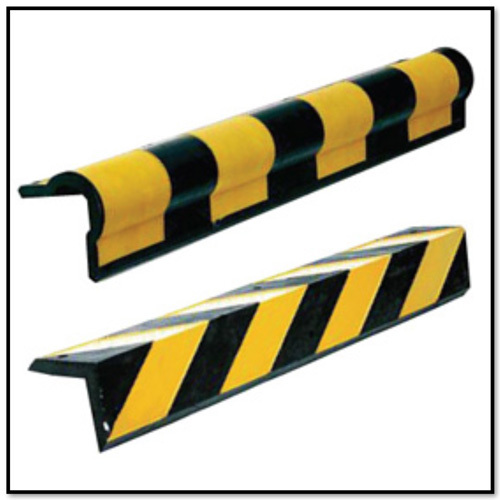 In addition, the rubber corners are equipped with reflective yellow stripes that give them great visibility by reflecting the light coming from vehicles and other nearby sources to stay visible in front of the vehicles and make it easier for drivers to see them. The column protectors are very easy to install since the installation holes are already factory made and with the help of the screws with expansion bolt for installation, this becomes a quick and easy task. Meet our rubber corners, call one of our Sales Representatives and ask them to present our Column Protectors, a visit to our distribution center will be enough for you to see them live and ensure their excellent quality in materials and manufacturing.